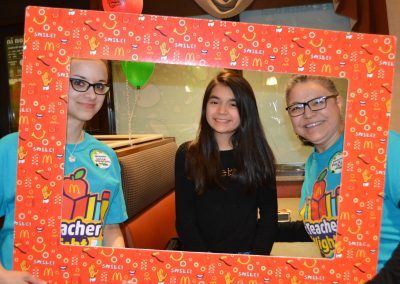 Over twenty teachers from East Main School District 63, volunteered behind the counter on Thursday, January 17, at the Niles McDonald’s located on Milwaukee Ave., where they served students and their families in a fundraiser for Nelson Elementary School. 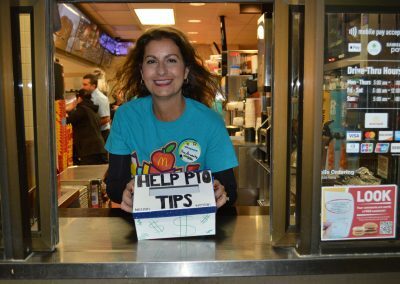 Ms. Lauren Leitao, Principal, Nelson Elementary School was at the event the entire night talking with the families and working behind the front counter. 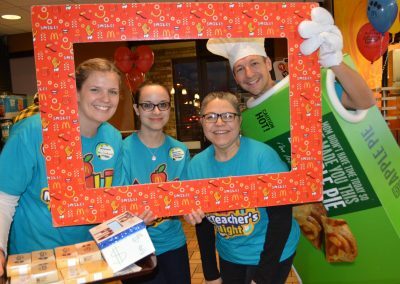 Teacher Tews, Assistant Principal Infante and PTO Treasurer, Amy Slamowitz tended the apple pie box during the night. 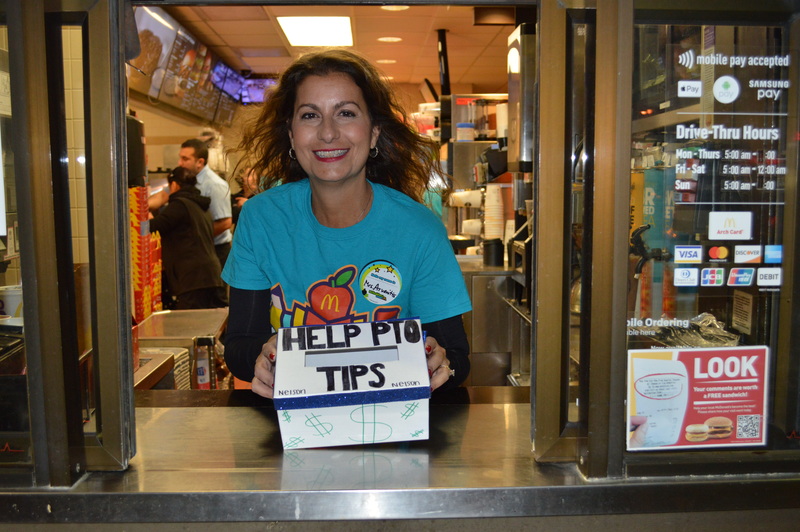 Teacher Lombardo and many others sold the pies the entire night and did a fabulous job raising funds for Nelson PTO. 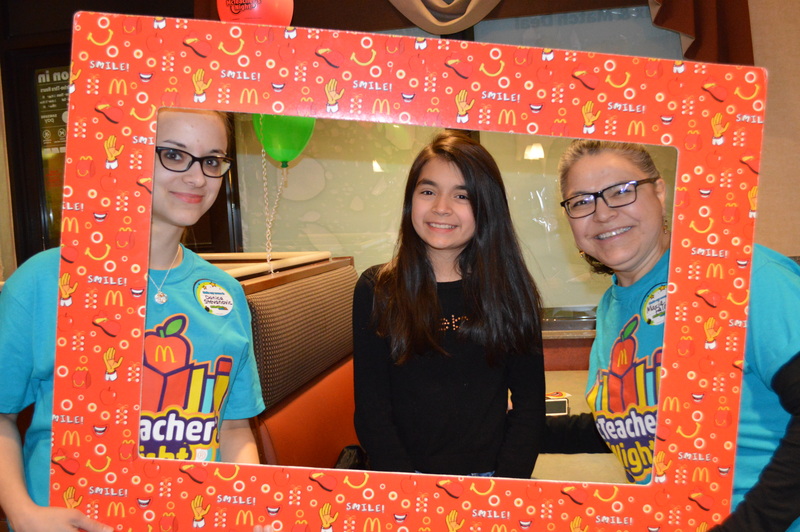 Stephanie Lawando, Nelson PTO Vice President, did an outstanding job working hard throughout the night and coordinating the entire event with McDonald’s. The proceeds from the sale of 240 pies went directly to benefit the students for a fifth and sixth grade year end celebration. 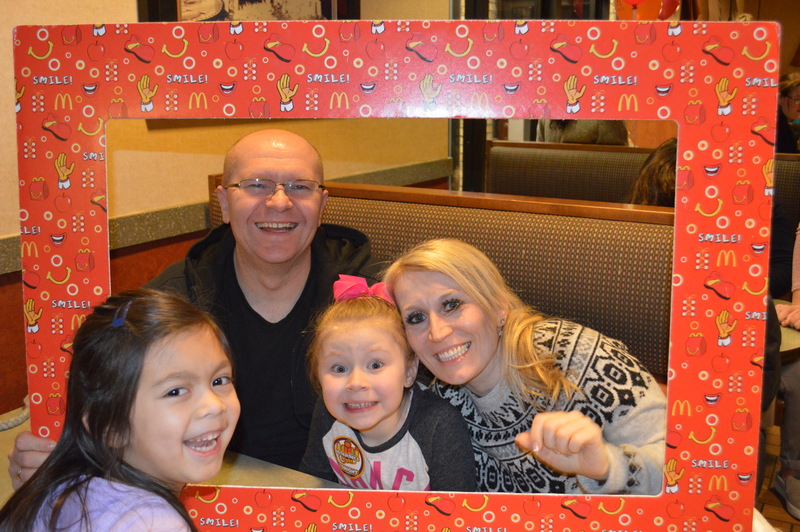 Twenty percent of the proceeds from the McTeacher’s Night sales were donated directly to the Nelson PTO, which plans to also use that money for the year end celebration. 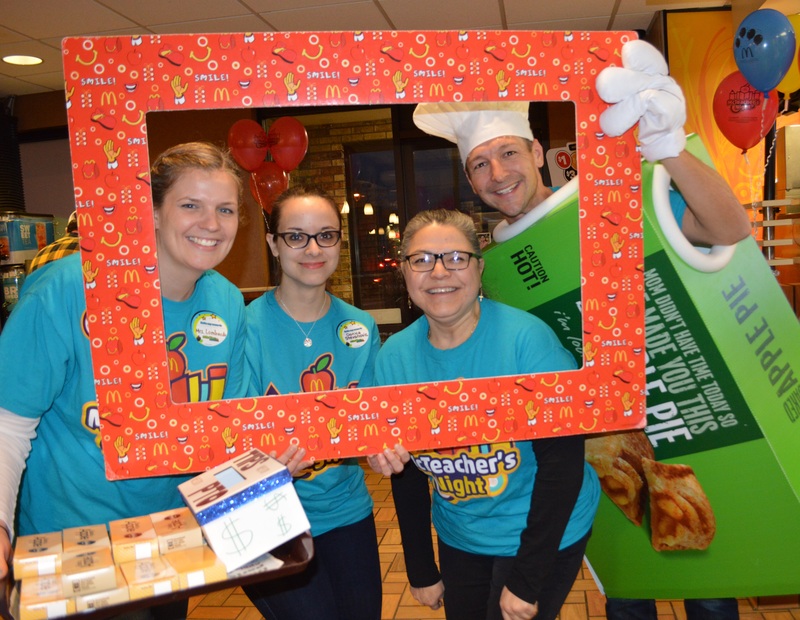 The night was extra special because this was the sixth McTeacher’s Night for Nelson School. The current Nelson PTO board in attendance will be passing the baton next school year as their kids are moving on to Gemini. PTO Vice President, Stephanie Lawando, PTO treasurer, Amy Slamowitz and PTO Secretary, Catherine Vertino were all at the event the entire night and worked extremely hard alongside the Nelson Staff. The Nelson community has one amazing network of support for their school. The Niles police were also in attendance. Throughout the night about ten different officers came in to show their support for Nelson School. The officers really enjoyed talking with the kids and many of the kids wanted to see the handcuffs. The parents and kids were thrilled to see the support from Niles finest officers. 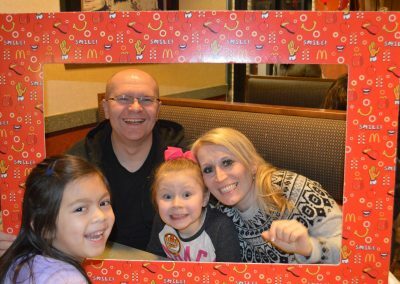 David Bear, Owner Operator of the Niles McDonald’s, and the Bear family were delighted to participate in the worthy cause for education and the community. 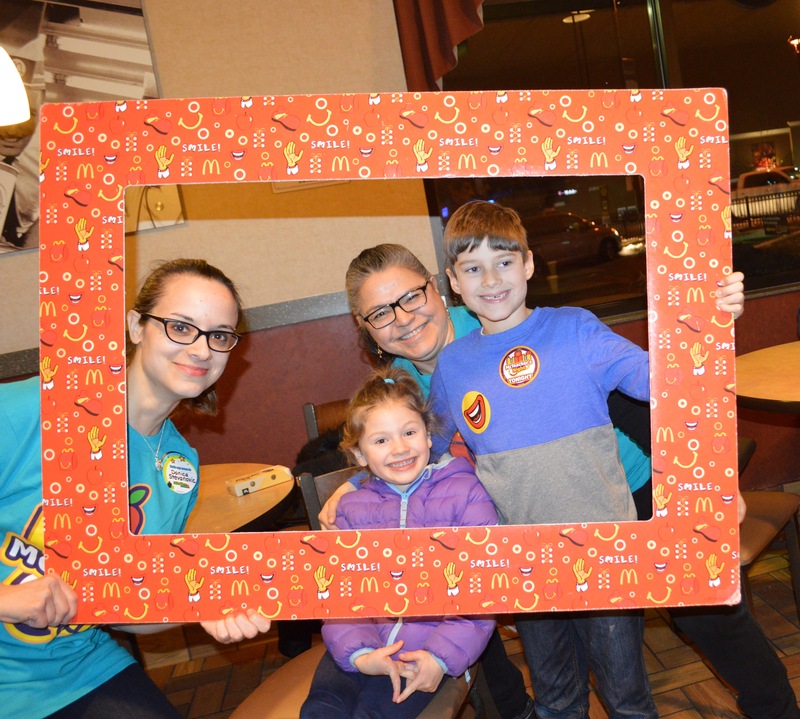 “McTeacher’s Night is part of McDonald’s larger commitment to education and other important initiatives supporting families and the local community.” Bear said. Bear donated a case of apple pies to the school for sale at the event. 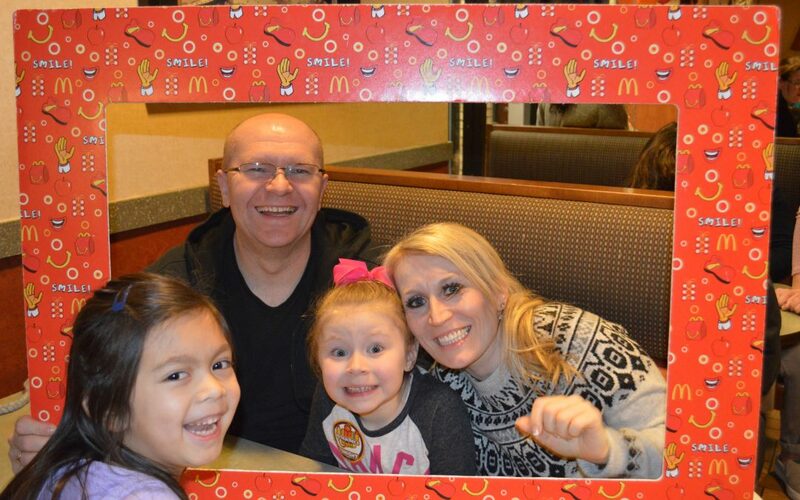 Inspired by the success of McTeacher’s Night, the Bear family has set their sights on partnering with other schools in the Niles area. “Lawando and everyone who rolled up their sleeves in support of this event” are the fabric that strengthens our community.” Bear said. 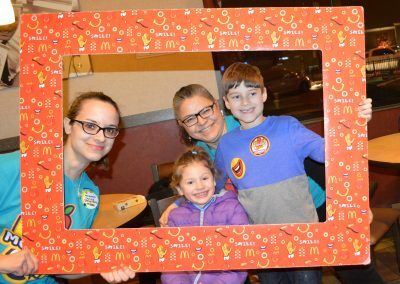 For more information about events provided by the Niles McDonald’s, please contact Community Relations Director, Julie Travers at julie.travers@comcast.net.